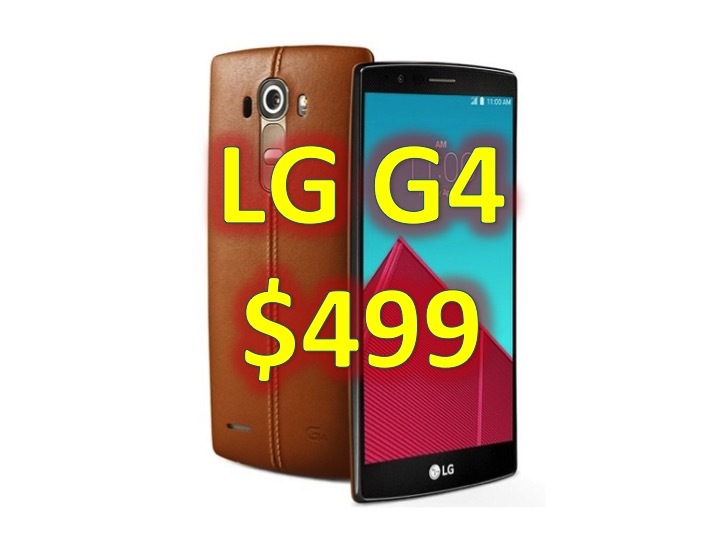 You are at:Home»DEALS»LG G4 – $499 – Unlocked + Bonus! For a limited time, (in limited quantities), you can get the LG’s latest flagship the LG G4 for $499.99 from breed via eBay. There are 3 different colors available: metallic grey, white and gold. LG G4’s top of the line specs include a 5.5” display which has 2560 x 1440 resolution with 538 PPI, a 16 megapixels with a f/1.8 aperture and 1/2.6” sensor. Realistically, though, you’re considering the LG G4 because of the removable battery and expandable storrage, which Samsung has bypassed with their latest – the Galaxy S6. 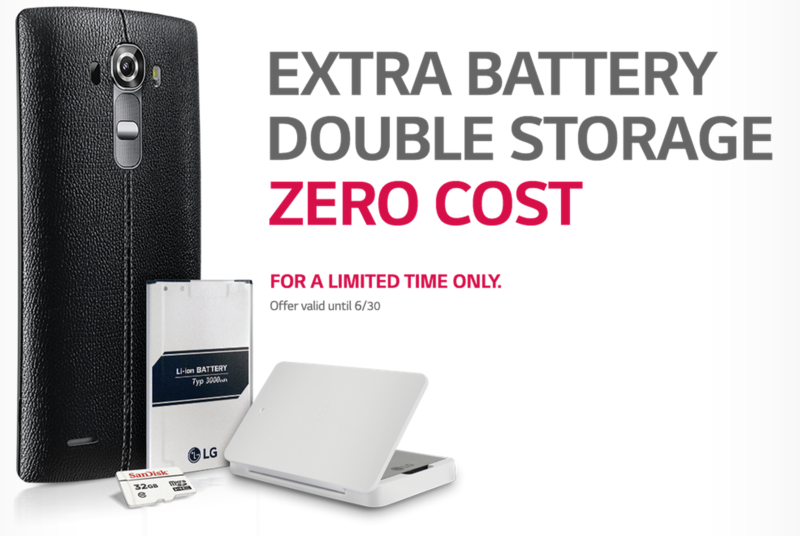 Also, don’t forget – if you purchase a LG G4 before June 30th, you can get an extra battery, as well as a 32GB microSD and an extra battery charger for free from LG! Click here to redeem this offer! Are you ready to take the plunge? Click here to head to eBay.